What Happens When You Send Unique Laser Cut Wedding Invitations? If you are the one who wishes to enjoy unique and different flavours of life, savouring each and every moment and cherishing the novelty of ideas, then you are definitely the one who does not give any place to boredom or monotony in your life. For you, life is all about being experimental and making choices that make you stand apart as an individual of rare taste and style so exclusive that it soon becomes a trend and an inspiration to be followed by others. For such people, celebrating any event of their life is done in a different manner, leaving everyone awestruck at the uniqueness that is attached to their way of presenting themselves, creating a fashion statement which leaves an indelible mark in the hearts of those who witness their larger than life image in every small little detail. 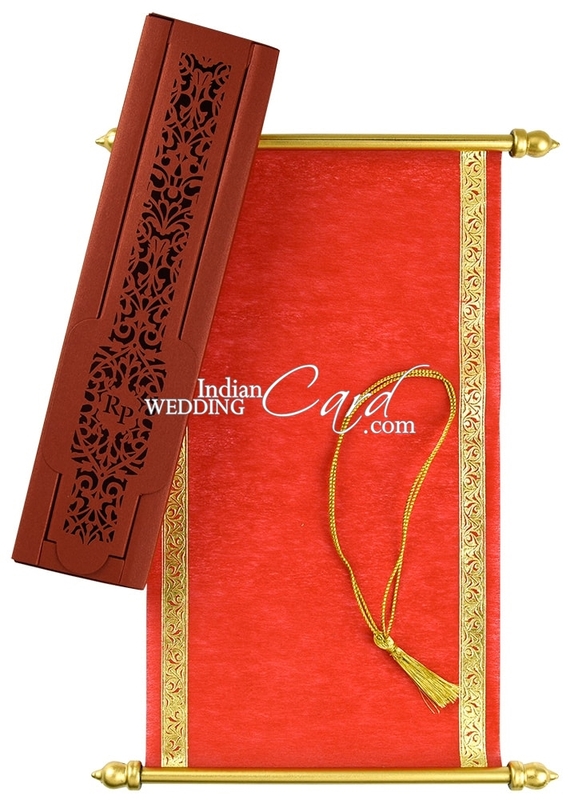 When it comes to getting a wedding card designed, it is important for people with impeccable taste to go for something that defines them in the most explicit expression without a tinge of overdoing the effort and when the guests look at the wedding invite, it does not take them time to realise as to who could have thought of sending such a beautiful, yet rare invitation card. One such invite which never fails to catch the attention of those who have been gifted with an eye to appreciate and admire rare beauty Laser Cut Wedding Cards. These are the cards that exhibit beauty blended with distinctiveness in the most creative and elegant style that leaves every guest mesmerised and charmed. There is no doubt that laser cut invites require precision and artistic bend of mind to create these delicately and intricately designed cards. They no doubt, steal the show at the first sight, spreading a majestic aura to the big day and making it even more special. 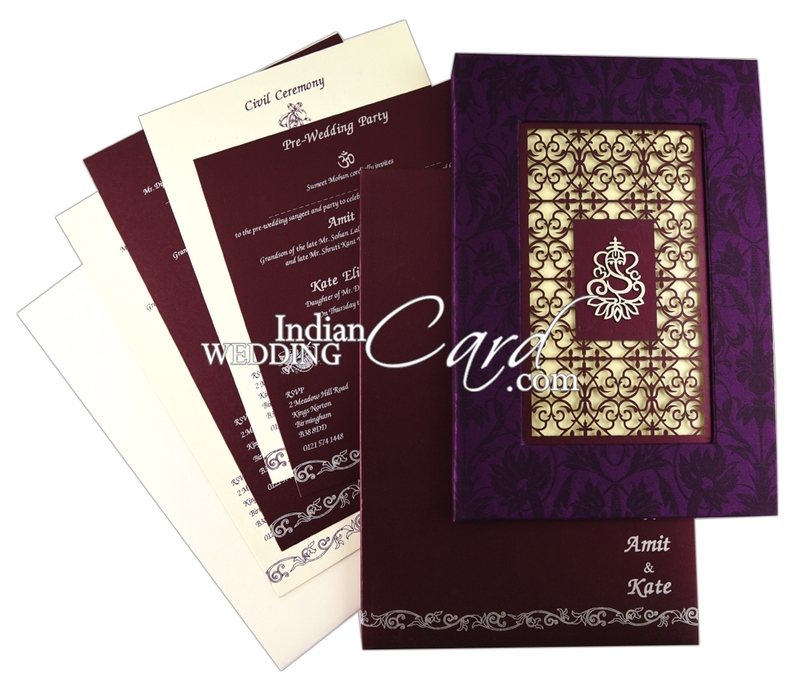 Indian Wedding Card has always been immensely and passionately involved in catering for the most exclusive ideas for designing the wedding invites for our clients. Our Unique Laser Cut Wedding Invitations are unparallel to anything that you have ever experienced. The range is unlimited and the ideas personify sophistication at its best. 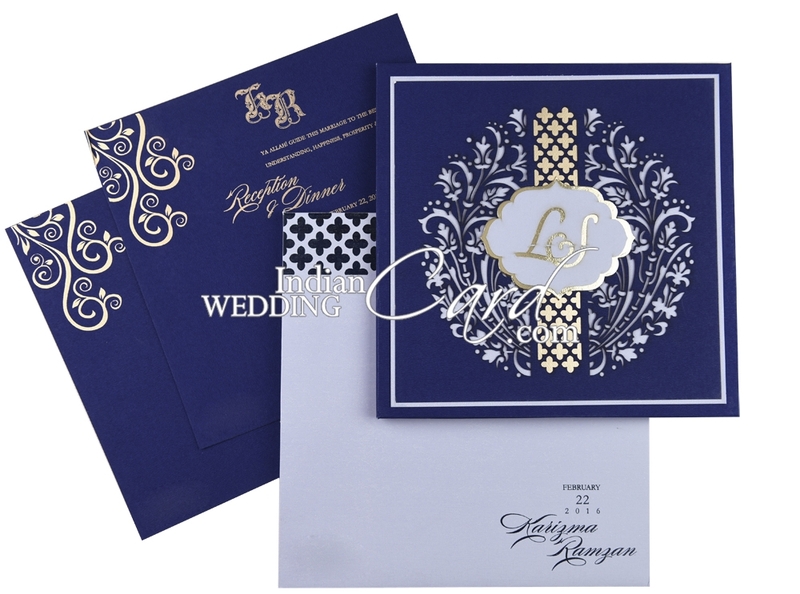 Our designer Jali Laser Cut Scroll Wedding Invitation with or without the box is specially designed for those who wish to display their royal side in a personalized manner. These invitations are designed from shimmer paper and adorned with tassels and golden border leaving no doubt with a classy taste of the host. They are definitely going to arouse the curiosity as well as anticipation of this gala event with sky high and nobody would like to miss it. Laser cut invites can look perfect for any theme of the wedding, be it contemporary or traditional as they are designed likewise. They effortlessly create a regal affair with so many wonderful and sweet memories to cherish forever. We cater for all, the simplest to the most intricate ones. Pick your choice according to what you fancy and leave the rest to us. Order your free samples today. How to select a wedding Invitation that leaves a lasting Impression on Guests?